Mid-level data plans. Both Globe Telecom and Smart Communications now offer smartphones friendly data plans. We will compare two plans, which would be ideal for those whose bills for combined data and phone usage will not be exceeding Php2,500 a month. At Php2,500 a month or better, there are better plan options from both carriers. Globe charges Php6.50 per minute for Globe to Globe/TM calls, Php7.50 for other local calls (mobile or landline) and Php1.00 per SMS. Over and above the free calls and SMS Smart charges Php5.09 for calls made to within the Smart network, Php6.11 for calls made about the Smart network and Php0.51 for SMS to all networks. Which plan is better? The two plans have distinct advantages so it is hard to really compare the two. How much value do you place on Globe unlimited calls and text to one number. If you call one number a lot it could really save you a lot of money. But in general Globe plan favors those who spend most of their time calling and texting people on the Globe network. Smarts plans is more network neutral. The best phone offered by Globe Telecom for free (with a two year lock-in) at Data Plan 1799 is the Apple iPhone 3GS, which is still a competent phone today. 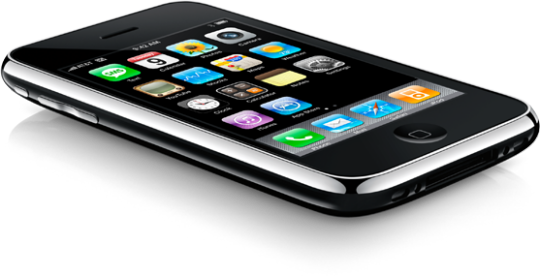 With a 3.5-inch (320 x 480) screen, 600Mhz processor, 256MB of RAM, 8GB of internal memory upgradeable to the latest iOS5 it is a fine phone. Smart Communications does offer more current hardware. At Plan 2000 the best phone Smart offers is the HTC Sensation which is an Android phone with a 4.3-inch (540 x 960) screen, 1.2GHz dual core processor, 768MB of RAM, 9GB of storage expandable to 33GB and runs Android 2.3 Gingerbread. This phone is really more the equivalent of a iPhone 4S than a iPhone 3GS. If you want a smaller phone they also have the 3.7-inch HTC Desire S, but that really is more on par with an iPhone 4. Get the Sensation. On the hardware category, Smart simply has better options. Hopefully Globe brings down some of their more interesting phones like, the Google Nexus S to Data Plan 1799 or maybe the 8GB iPhone 4.